Diffused in the lobby and grand rooms of Sofitel hotels worldwide, Essence de Sofitel is a distinctive, charming fragrance created by Lucien Ferrero, one of the most esteemed perfumers in France. Inspired by the garden of his Côte d'Azur home, the signature Sofitel fragrance artfully blends together notes of refreshing bergamot and earthy sandalwood, crisp lemon leaf and the sweet floral charm of white rose, intoxicating jasmine and lily of the valley. 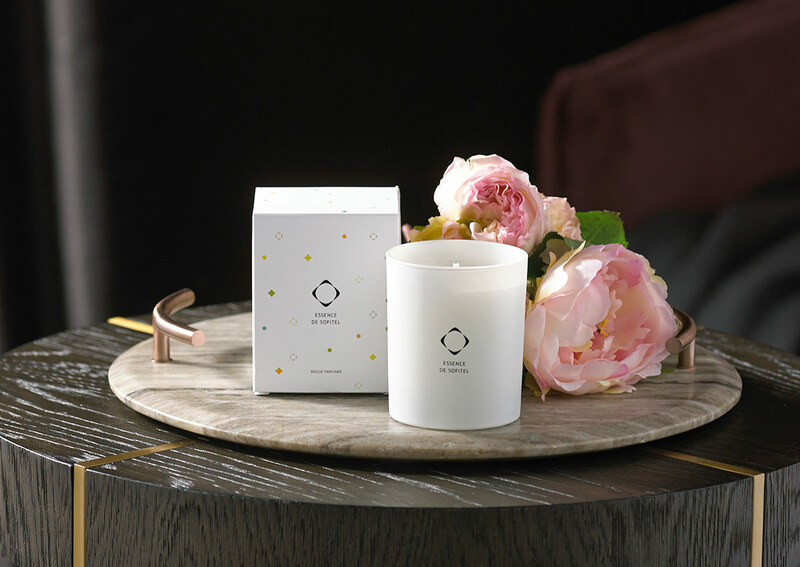 With the Sofitel candle, make your own luxurious ritual—elevate bath time, celebrate evening's arrival, or create an enticing ambiance before guests arrive. Paris is known as La Ville Lumière—the City of Light. Not only does this iconic city boast 296 illuminated sites and landmarks, but it was the birthplace of the Age of Enlightenment, known throughout Europe as a center for poets, philosophers, engineers and scientists. Inspired by the historical significance and visual splendor of the Parisian lights, Sofitel hotels around the world perform an enchanting candle ritual every day at sunset.